Parley’s Diesel Performance is pleased to announce that Advanced Flow Engineering (AFE) has given the go ahead for their VW TDI performance cold air intake kit on the 2011 2.0L Jetta and Golf. Advertised dyno results are showing an increase of 10 Horsepower at 3150 RPM and a nice torque increase of 23 foot lbs. at 3050 RPM. This is the same cold air intake that we’ve had great success with over the past year and a half on the 2009 and 2010 2.0 Liter VW Jetta TDI. 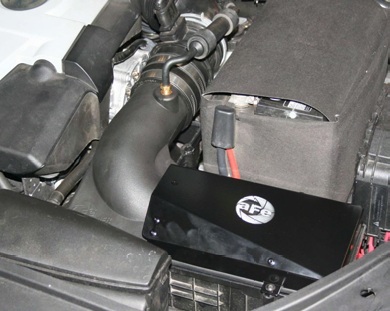 This particular intake is what AFE calls their “Stage 2 Si” or “sealed intake.” The sealed air box installs cleanly, looks sharp, and is quieter than an open box design diesel cold air intake. Air flow is increased by a remarkable 56% over the stock air intake system. 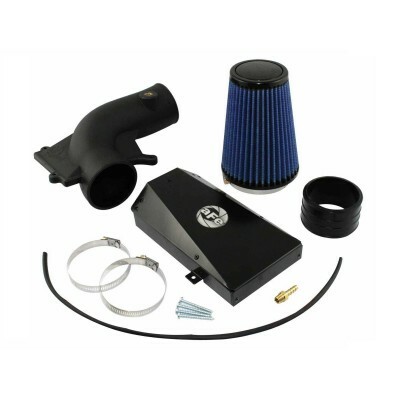 Like most AFE intakes, this 2.0L TDI Cold Air Intake comes with your choice of filter media. This kit comes with either their Pro Dry S filter or their Pro 5R. The Pro Dry S is made from synthetic material. 100% washable and reusable, it doesn’t require oiling after cleaning, making it a highly convenient choice. The Pro 5R is also washable and reusable, but the oiled cotton gauze requires oiling after each cleaning. Flow rates for the Pro 5 R are slightly higher. Take advantage of the performance potential in your 2011 VW Jetta or Golf 2.0L TDI today with an easy upgrade that takes less than an hour to install!